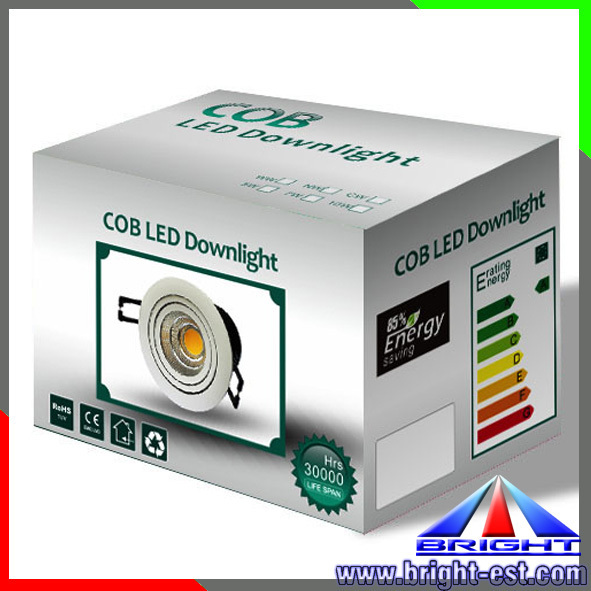 1).The downlight’s efficiency of electric energy converting to light energy is up to 80%.Energy saving is more than 70% compared with traditional downlights. 2). 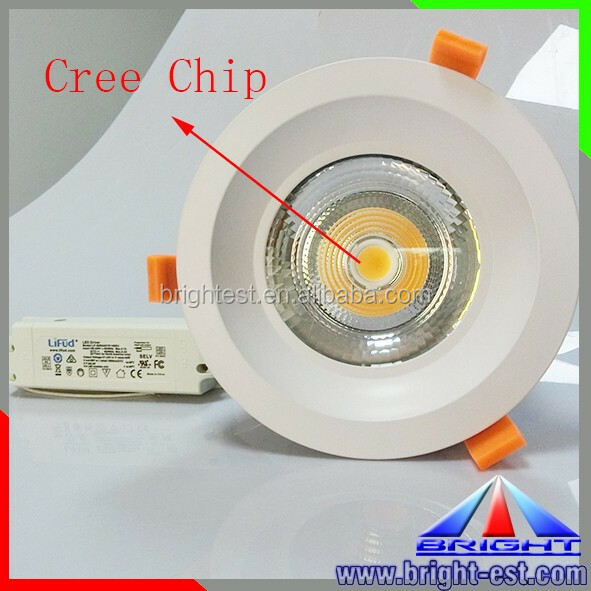 It adopt CREE cob as light source and good quality power supply.Lifespan is more than 50,000hrs. 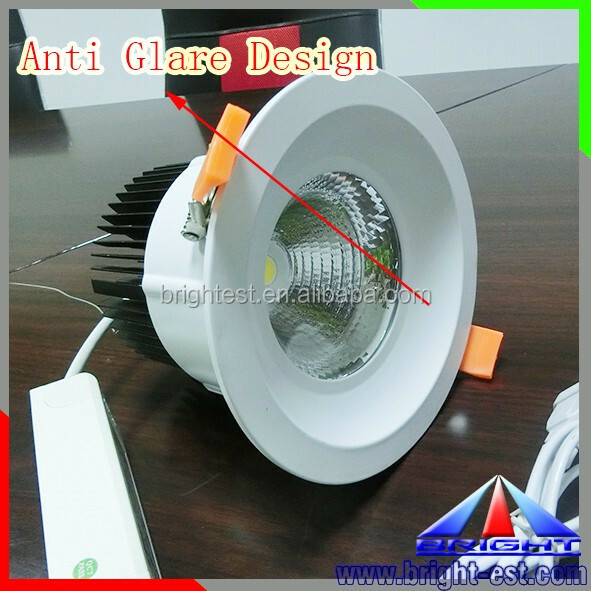 Particularly suitable for long time lighting,high altitude and other occasions. 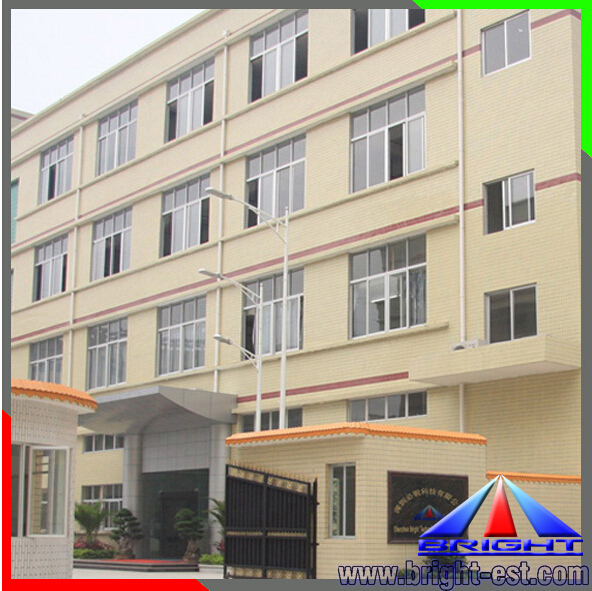 3).Light is soft,high CRI,no yellow edge,anti-glare,quick star,no flick. 4. 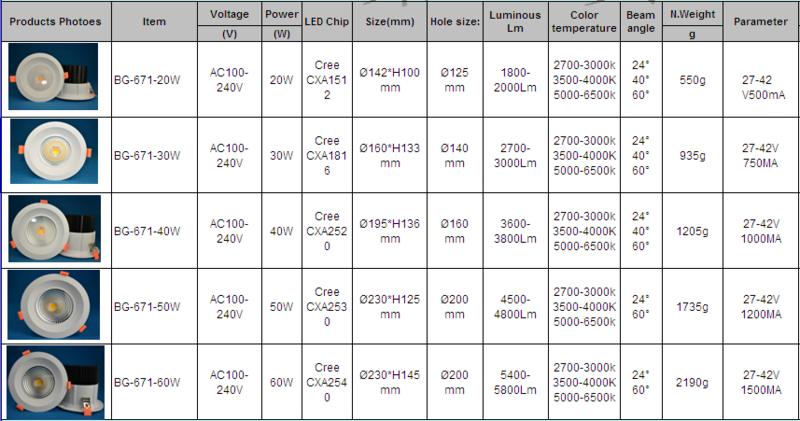 )The LED downlight’s installing dimension is compatible with traditional ones. 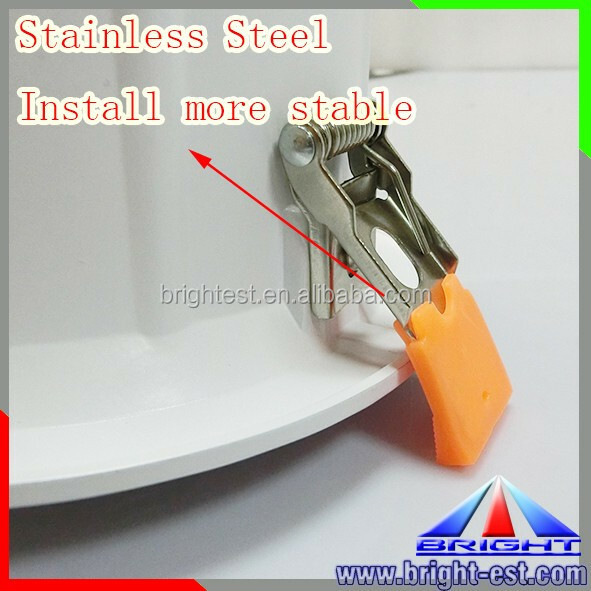 6).Easy install, no need to change the original circuit. It works after connect with the power. 7).Green and environment-friendly. 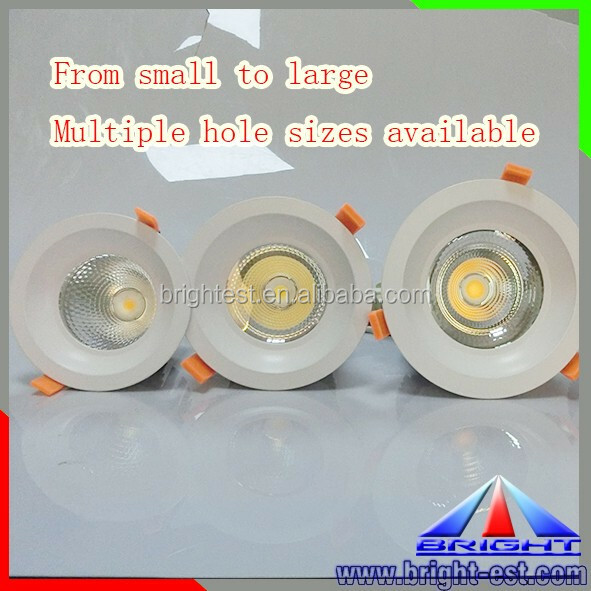 LED Downlight with no IR, UV, etc radiation. No mercury. Less heat. 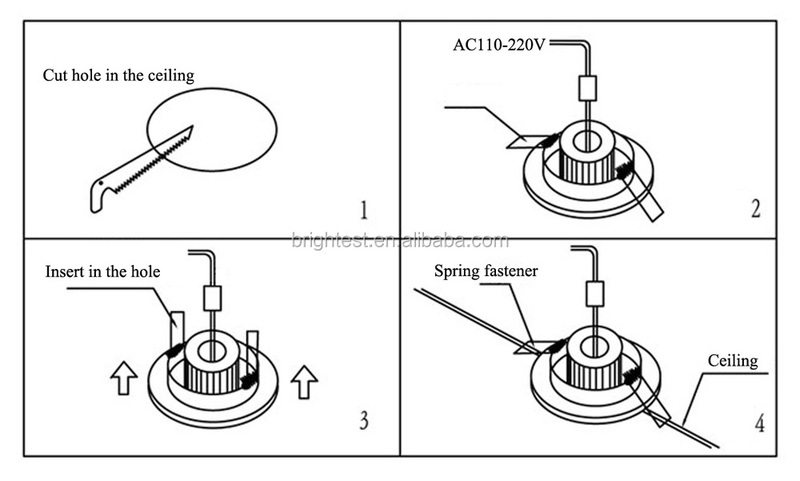 8).Adopt ADC12 die casting aluminum as lamp body and 6063 cold forging aluminum as heat sink. 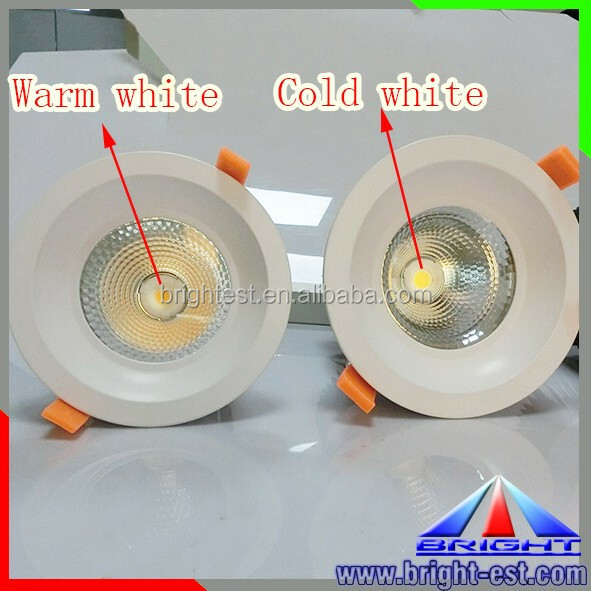 The inside of the lamp body adopts the beautiful, safe and reliable COB bracket and high chrome high reflectance reflector and high strength PC cover. 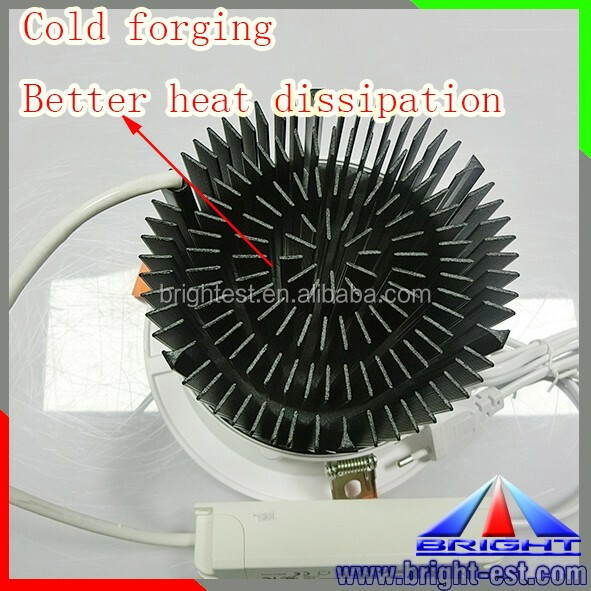 Heat sink adopt cold-forging, the heat dissipation ration is 201w/(M.K),may ways of surface treatment. 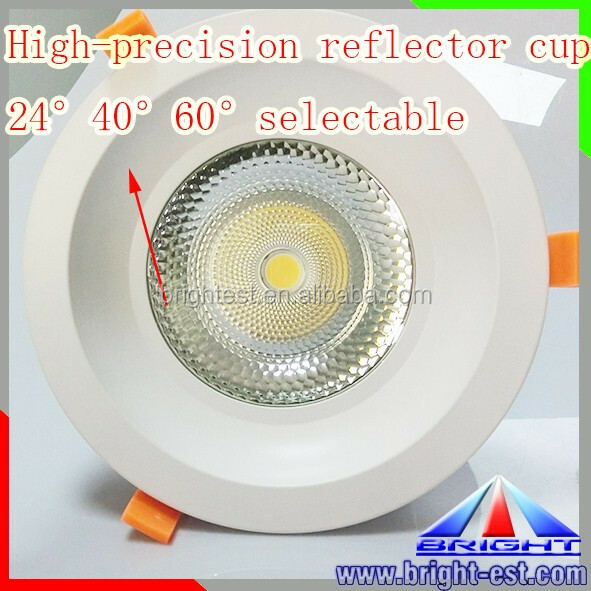 9).The reflector have 24/40/60 degree beam angle for chose. 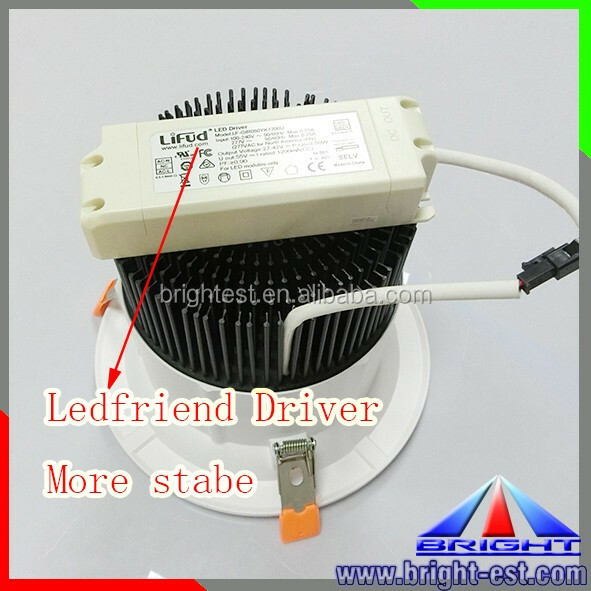 10).Adopt normal CE Driver,0-10V Dimmable driver,DALI driver and triac dimmable driver. 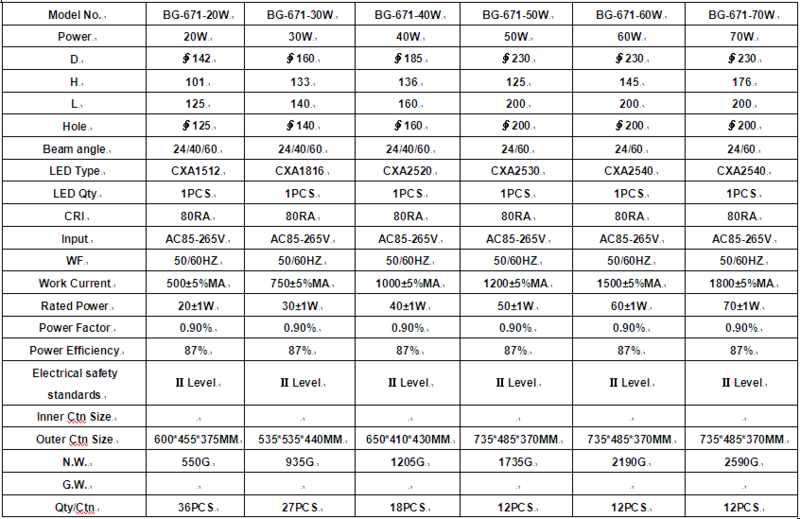 12).CCT can be 2700K,3000K,3500K,4000K,5000K,5700,6500K for chose. All products are ageing 48 hours before they out.